Eyebrows are one of the first features noticed on a persons face. Although there are multiple ways to create that perfect brow, microblading has become one of the newest trends. Microblading delivers semi-permanent results. Unlike the usual “sharpie” or “green” effect from permanent makeup, microblading provides a true pigment of color resembling real hair. 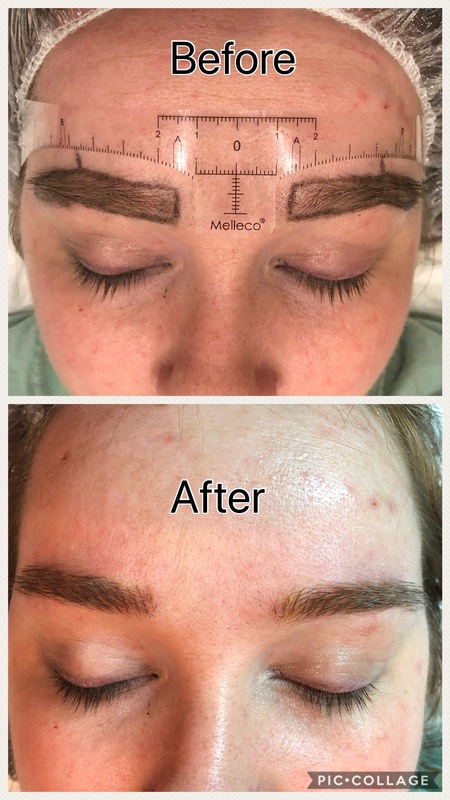 Microblading is great for those who want to reconstruct, define, fill in over-plucked brows and gaps, adding an arch, and even women who have lost their brows to illnesses (whom is now fully recovered). Unlike a tattoo gun with regular permanent makeup, microblading is done with a ‘pen’ and each hair is individually drawn on. The process takes between 2 and 4 hours, it depends on the individual. This client had a good canvas to work with, but she wanted more volume and shape. Microblading is great for filling in those unwanted holes or gaps left from years of tweezing.